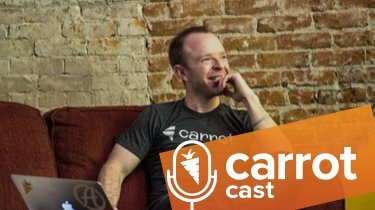 On this episode of the CarrotCast, I’m going to talk about ambitions, happiness, and some lessons I’ve learned that can help you take a shortcut to happiness. All the hard work, all the time, and energy that goes into making money and achievement can leave you feeling unhappy and unfulfilled. This something a lot of high achieving entrepreneurs struggle with. They struggle with being content. And probably struggle with happiness on a daily basis. Many of us fall into the “if / then” complex and that only becomes a life-draining cycle that is hard to break from. Here is a simple hack to go STRAIGHT to true happiness. And, check out more CarrotCast episodes at carrotcast.com. What Are Your Essential Keys to True Happiness? 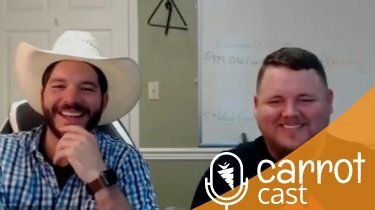 Listen to this Episode of the CarrotCast to Gain Some Insight Into Falling Into the “If/Then” Complex and How to Avoid It. 2:10 – What is the “if/then” complex? What Trevor learned during an event called Awesomeness Fest about 8 years ago. 6:45 – How to change your life and happiness by simply writing letters of gratitude. 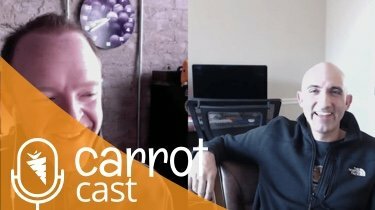 11:10 – How real estate professional and CarrotCamper, David Wolf, uses letters of gratitude to connect with people and spread joy. David Wolf’s Gratitude Card. Increasing Happiness! 14:55 – Where does extra happiness come from? 17:30 – [Action Item] Buy some postcards and write gratitude note for the next 10-days. #dailygratitude. 20:10 – Revisiting the “if/then” trap. How to pull out of that state of mind. We want to hear how we can make our products better and what we can do to help you! Drop them in the comments section below or hit us up on Facebook.